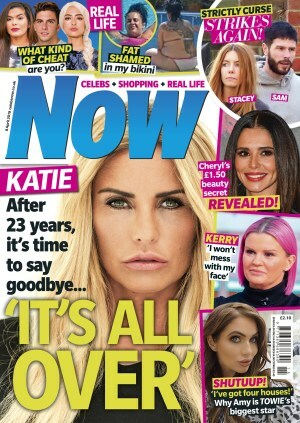 All the celebrity news, gossip and fashion you'll ever need right at your fingertips, whenever and wherever you want it! Every week you can enjoy Now on your phone or tablet - it's so easy to download you'll never miss an issue again. The digital edition has all the same content, great pictures, exclusive interviews, latest fashion and beauty with the added convenience of being right at your fingertips. Get the best celebrity news, style, videos and pictures on both your mobile and your tablet - 4 issues for £4.99. Subscribe to Now for the whole year (amazing value! ), a month or just a single week - you choose. Click on your storefront below and give it a go today.